(Note: Shawn is the owner of Third Rock Events, a full-service events production company specializing in festivals for city governments and fundraisers for nonprofits, but also produces corporate, social and political events. 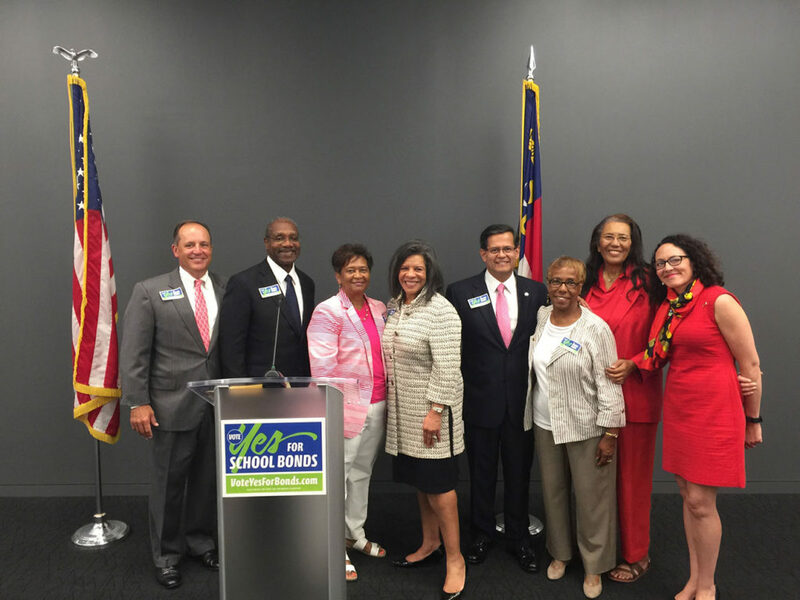 This story was originally published in 6/17 and has been updated). 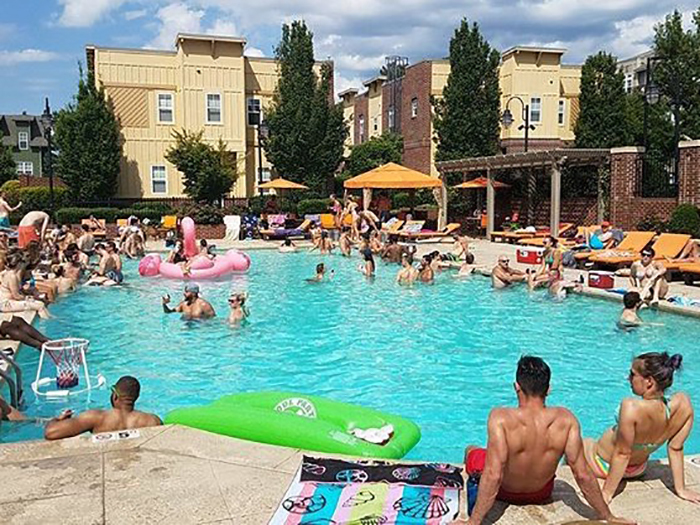 Here’s insider knowledge on the top 10 best apartment pools based on views of the city, pool side amenities and city location. Pool season is well off into its peak. I know you’re anxious to get a tan on by the coolest pools in the city. Below are our top ranking pools where we have hosted events for their residents. Step out onto the Sky Lounge floor and your breath will be taken away. This community boast two towers with rooftop pools on both. 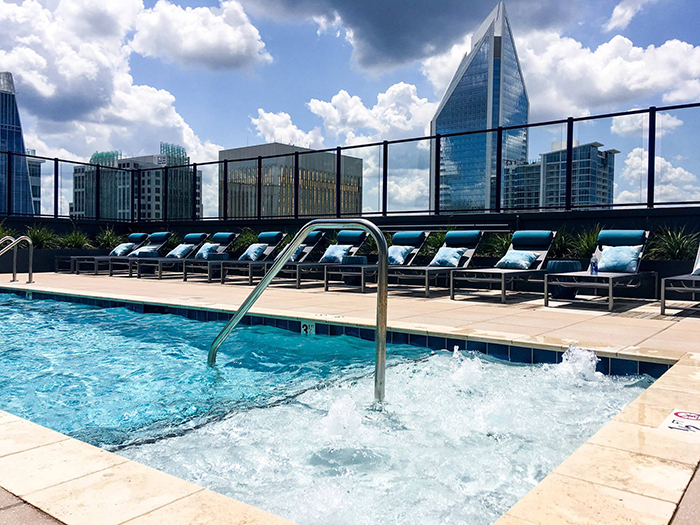 Not only do their pools have stunning views of Uptown, but the rooftops also feature state-of-the-art fitness centers, club rooms and outdoor TVs. 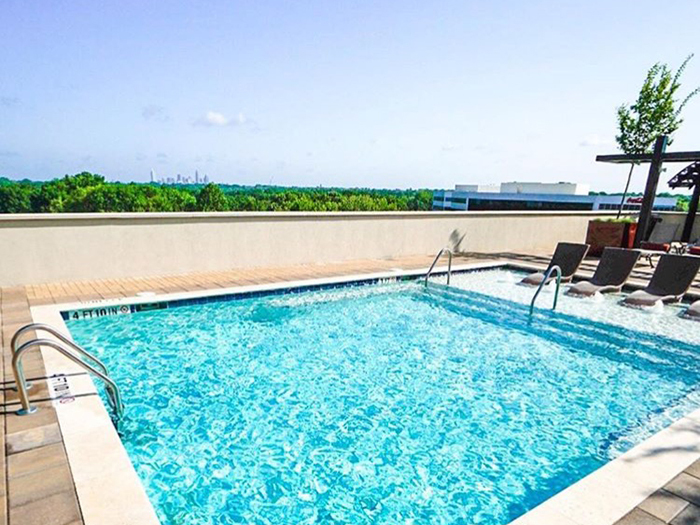 Ashton is home to South End’s highest floor pool with end-to-end views of Uptown. 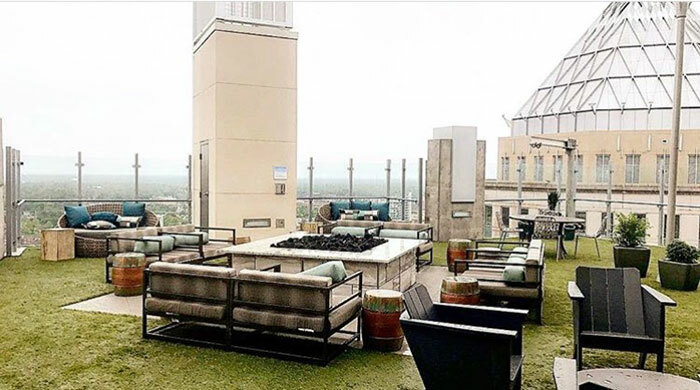 The pool sits back on the patio next to the wet bar, a perfect spot to take in the views of the Uptown skyline that’s accented by their fire pit and two cabanas. The uninterrupted skyline sunsets create the perfect pace at the Ashton. 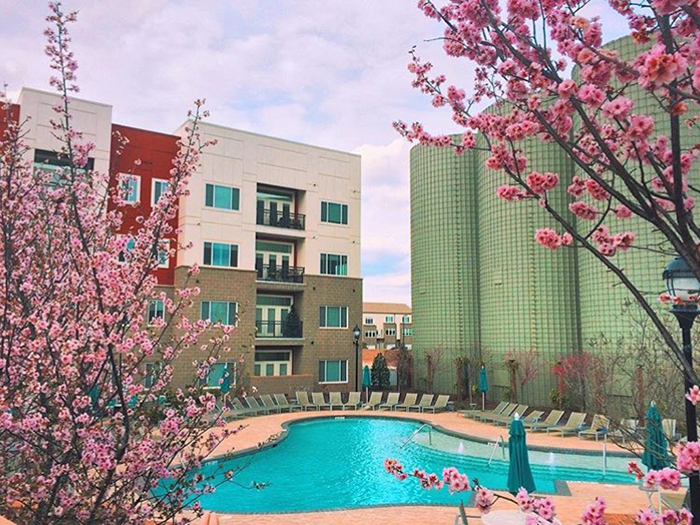 The developers of this community took full advantage of the location by placing the pool several floors above street level to fully enjoy the eastern views of the Charlotte skyline. 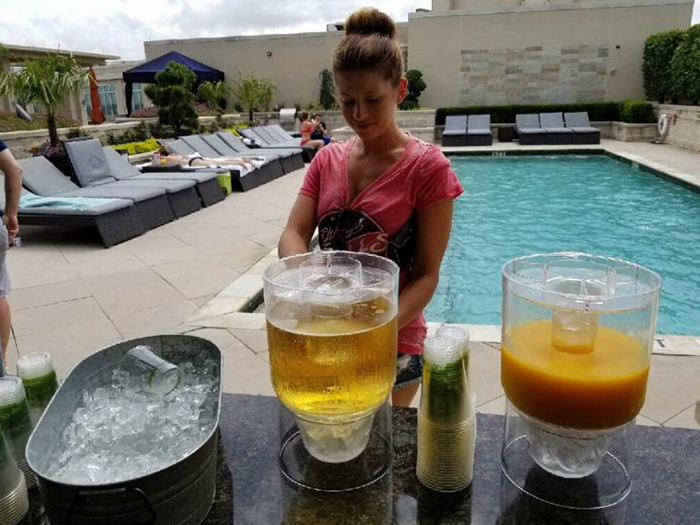 The pool is surrounded by one of the largest patios in town with outdoor grills and a covered lounge area featuring a large flat screen TV. 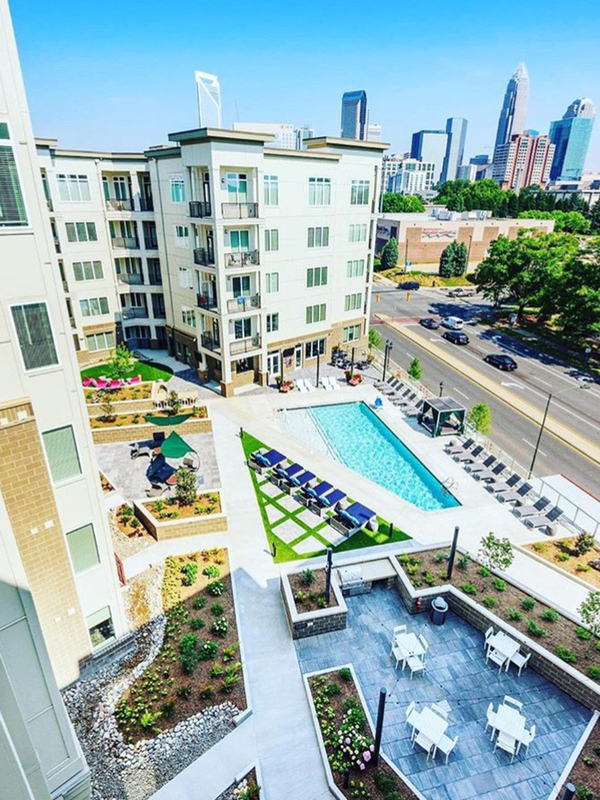 Residing on the east side of Uptown, the Presley precisely elevated its pool to maximize its Uptown views. Near the pool is an indoor club room area that is beautifully decorated and features a lounge and game area as well as an ice machine and refrigerator to keep your poolside drinks at the perfect chilled temperature. Location, location, location. This community features a unique setup for their pool and outdoor patio space. The patio is located on the east side of the building with views of the sunrise while the pool is located on the west side of the building to take in the sunsets. A large breezeway connects each area. 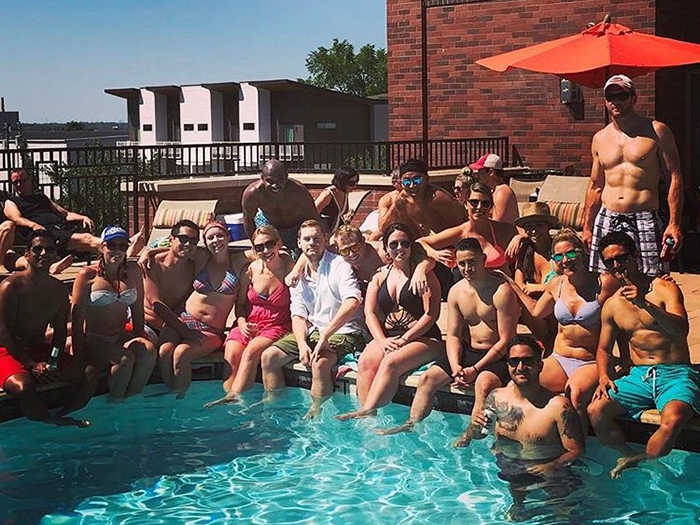 This community is also in one of the most active blocks in South End with Seoul Korean BBQ, Craft Tasting Room, Bulldog Beer & Wine, Golden Cow Creamery and Wooden Robot all within walking distance. This community is widely known for their open, resort-style pool featuring the most poolside cabanas and extended rays of sun. Surrounding the pool are two fire pits, bocce ball area, outdoor speakers and grills. The Silos developers were smart by keeping the buildings away from the pool area to ensure shadowless Carolina blue sky days. It’s not a huge pool, but the views of BB&T Ballpark and Romare Bearden are incredible. Year-round, anyone? How about yes! Circa’s pool is heated for your full-year pleasure. This is also the only pool featuring a “Chill Lounge,” a temperature-controlled room that allows you to literally chill your body from the summer heat or a hard workout. 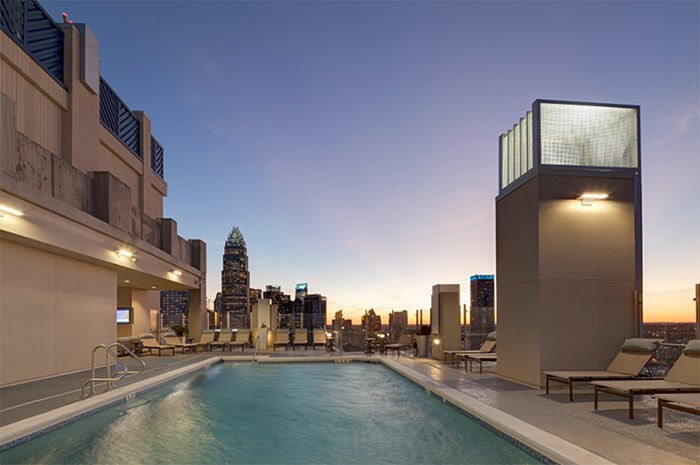 The rooftop pool has stunning views of Charlotte and Uptown. 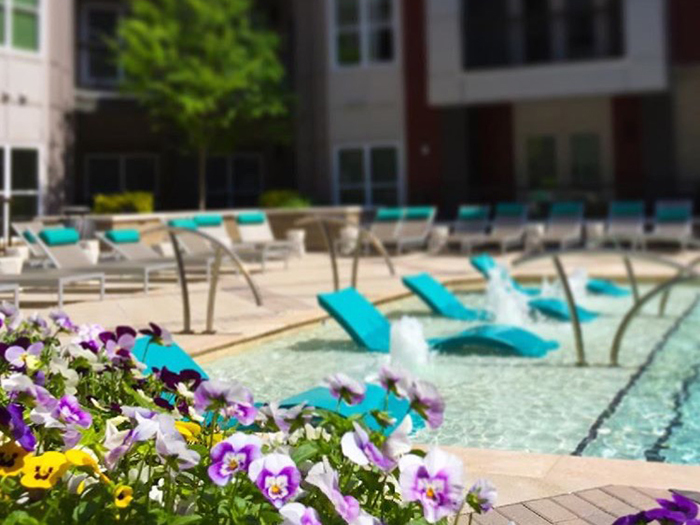 Some residents describe the view as “Central Park” due to the beautiful North Carolina trees found between the pool’s edge and Uptown view. This is also the only community we have discovered with a steam room and a sauna located on the same floor. The community has one of the largest pools with unlimited sun. Plus, you will enjoy wonderful views of the city while relaxing the day away. 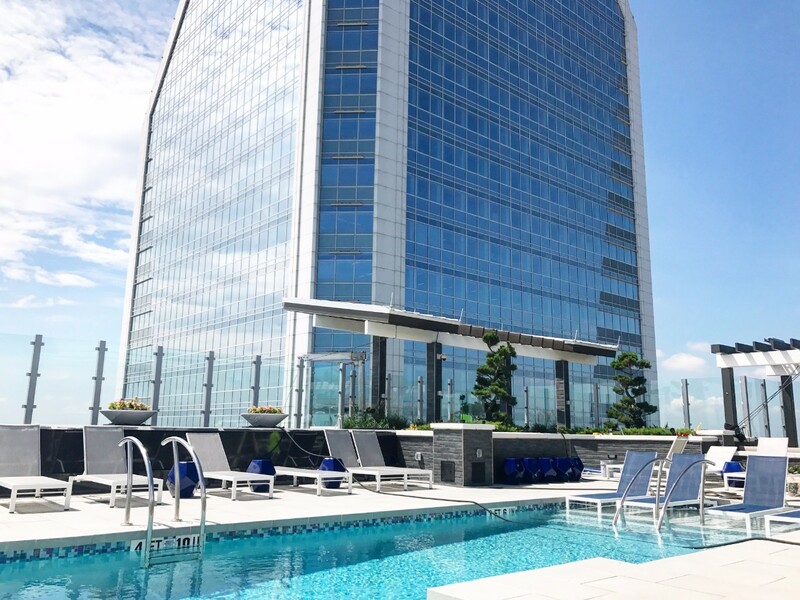 The heated salt water pool is surrounded by an ice bar, TVs, lounge chairs and cabanas (both first come, first serve and rentable) and an 8-foot glass wall for uninterrupted views of the city – namely, the Duke Energy Center, which feels close enough to touch. This Plaza Midwood complex has a good pool size, sitting chairs in the shallow water, big screen tv, grill, full kitchen and ice. Also, it’s nice that there are bathrooms close to the pool that you can access with your friends apartment key fob. The enjoyment of the poolside amenities by their residents is alway first with these communities. No need to worry about overcrowding from outsiders as resident guests are limited. Residents are always first on their list. 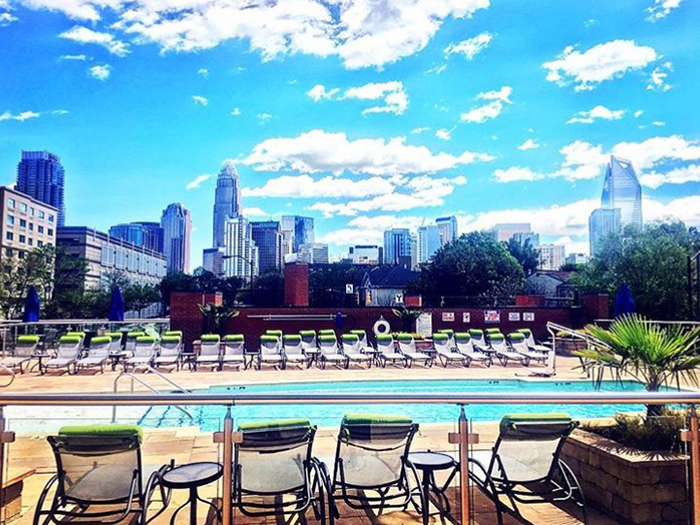 Cheers to the summer and cheers to the many pools Charlotte has to offer. Anybody else ready for a poolside tan?